Aging is a complex process that different factors cause, including stress, pollution, lifestyle, gravity and more. Slowing down the aging process does not prove impossible, but it is difficult. Many products on the market promise spectacular results, but often these are not really efficient because they don’t include the necessary ingredients. Supplements make a good way of maintaining a healthy and young body, but in order for them to prove effective they need to contain certain nutrients. You should also combine supplements with a specialized diet and overall healthy lifestyle. Check the labels of the supplements and look for Carnosine. Carnosine, an anti-glycation agent, neutralizes glycation—a process that impairs the functioning of biomolecules. Glycation proves bad for the health and works as part of the aging process. Most supplements will not include Carnosine because of its expense. However, going for cheaper supplements that don’t include Carnosine means you don’t get the most effective treatment. Methylation, a natural process in the body, becomes less efficient over time and causes serious problems to the health. Taking supplements that keep this process balanced will postpone the aging of the body. B vitamins (B6, B12 and Folic Acid), Tri-Methyl-Glycine (Betaine) and S-Adenosyl-Methionine (SAMe) are nutrients that keep the methylation process functioning correctly and balanced. Look for these ingredients in anti-aging supplements. Most supplements contain anti-oxidants, but not all anti-oxidants prove efficient. Free radicals remain one of the main causes of aging and developing medical conditions. Anti-oxidants fight free radicals. Vitamin C, for example, is a well known anti-oxidant you will find in many anti-aging supplements. But in reality vitamin C does not prove a powerful anti-oxidant. 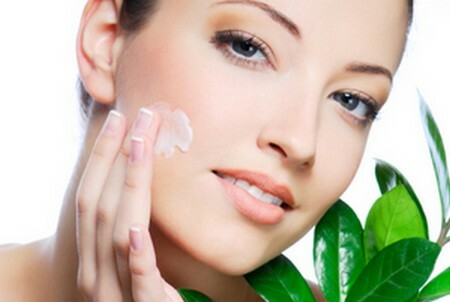 You want your anti-aging supplement to contain a very effective anti-oxidant such as L-GLUTATHIONE. You should also look for green tea, Gingko Biloba, Alpha Lipoic Acid, Lutein, bilberry and grape extract. Good anti-aging supplements also contain anti-inflammatory ingredients such as Resveratrol, Glutathione, Turmeric, Alpha Lipoic Acid or Flavanoids. Omega-3 fish oil is good for fighting inflammation, so you should include it in your diet; however, asl make sure your anti-aging supplement has anti-inflammatory ingredients. You will find a lot of anti-aging supplements on the market, some of them cheap. Remember, though, you will get for what you pay. Some of the important anti-aging ingredients prove expensive, so prepare to spend around $40 for an anti-aging supplement that has all the necessary nutrients. However, expensive does not necessarily spell quality. Take your time to make a list of ingredients, check the labels and choose only the best supplement. Don’t think taking an anti-aging supplement alone is enough. You should exercise a few times a week, keep a healthy die, rich in vitamins, sleep well and avoid stress. The more active you are, the longer you’ll postpone the signs of aging.